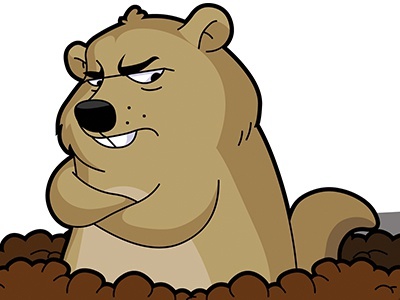 Many of the Uruguayans have asked why I call this the Punxsutawney Phil period of my life. They don’t have this time-honored tradition. First I have to explain groundhog day. 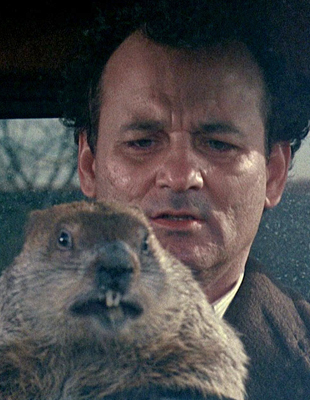 Groundhog day is a special day of superstition on February 2nd. A groundhog, named Phil, from Punxsutawney Pennsylvanian emerges from his burrow on the morning of this day. If he sees his shadow on the ground, he will retreat back into the his burrow and there will be six more weeks of winter. However, if he does not see his shadow and retreat, then spring will come early. The tradition has gotten a bit warped over the years, but the concept is the same – a little groundhog dictates the time winter will remain. Now, the superstition is simply that, but I distinctly remember my mother living in Syracuse, New York where is snowed seven months out of the year. I remember her being so miserable in that cold. She hated every minute of it. And when that groundhog saw his shadow (which was often considering all of the camera crews shined all of their lights on him when I was a kid) Mom would have two reactions: dejection at the thought of six more weeks and weird optimism that there was ONLY six more weeks of winter. Which brings me to my diagnosis. As soon as I got the news that I had Hodgkin’s Lymphoma and needed chemo for six months, I thought of that groundhog. I was completely dejected by this interruption in my life and my plans. But then there was also this optimism of the fact that it was only six months. I can do anything for six months. Plus, the metaphor gave me an enemy. I can vilify a groundhog. It is tangible and there are plenty of funny things to print off the internet. This is a crazy bad luck, what are the odds, time period. There is no explanation and no rhyme or reason. It is just a Punxsutawney Phi period. And unlike this year, my life groundhog saw his shadow. Happy Groundhog Day! Here’s hoping winter goes away soon, and so does your cancer!